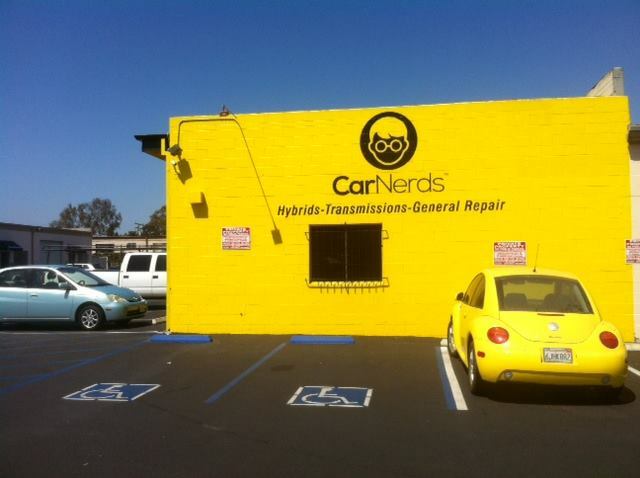 Car Nerds is the brainchild of a 15 year industry veteran who was tired of the traditional way dealerships and independent shops do business, recklessly upselling services in the name of bottom line profits. There is a need for a more honest approach to car service, one that gives the customer access to the right information to make decisions about how to take care of his/her car. Car Nerds is a knowledge collective. Industry veterans that have worked for car manufacturers that are tired of the traditional way of doing business and want a more ethical yet technologically superior alternative. At our shop, the customer has access to a wealth of knowledge and friendly people that go above and beyond to make the dreaded trip to the mechanic an enjoyable experience. Our shop manager has worked for car manufacturers directly or indirectly for the past 15 years. He designed software that is now used by more than 2,000 dealerships nationwide and was the head of the national service council for the most prominent car manufacturer in the world. Our shop foreman is a Toyota/Lexus factory trained master technician that has worked on the maintenance and repair of more than 15,000 hybrids in the last 7 years. That is not a typo, fifteen thousand hybrids... So yeah, he knows a thing or two about hybrids!!! Our transmission expert has rebuilt more than 3,000 transmissions for different manufacturers from Honda to Porsche and everything in between. All of our maintenance experts have extensive dealership experience.